ChildAge: 3-12 years. Under 3 are free. 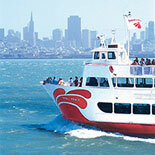 The San Francisco Explorer Pass is the best choice for maximum savings and flexibility. 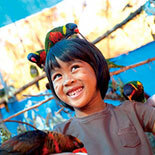 Save up to 51% off retail prices on admission to 4 attractions. 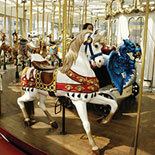 Choose from a list of 20 top attractions, including California Academy of Sciences, Golden Gate Bay Cruise, and more. Valid for 30 days. 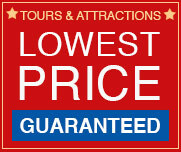 Save Money: Save up to 51% off combined admission prices. Flexibility: Create your own itinerary from 20 top choices. Freedom: Do as much as you want each day or take up to 30 days to use your pass. Insider Info: Free map. 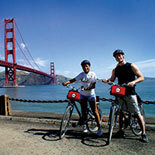 The San Francisco Explorer Pass is the best choice for maximum savings and flexibility. 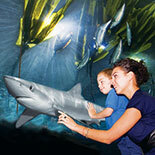 Save up to 51% off retail prices on admission to your choice of 4 attractions. Choose from a list of 20 top attractions, including California Academy of Sciences, Golden Gate Bay Cruise, California's Great America, Aquarium of the Bay, and more. 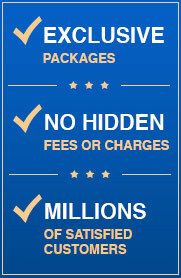 Enjoy the flexibility to choose attractions as you go and take up to 30 days to use your pass. Operating times vary with each attraction. Please see Guidebook for details. Most attractions are closed on Thanksgiving, Christmas and New Year's Day. Child Ticket: 3-12 years. Under 3 are free. Passes are delivered via email along with a digital guidebook. Print your Pass or present it right on your mobile device to get in to each attraction. All Go San Francisco Card attractions are subject to availability. On occasion some museums, attractions and tours are closed due to private functions without prior notice. Call the attraction in advance to check on accessibility for the date(s) you plan to visit. Customer must have pass and proper ID to redeem each card. Lost cards are nonrefundable. One Guidebook is included with each order. The San Francisco Explorer Pass is valid for 4 attractions within a 30 day period.